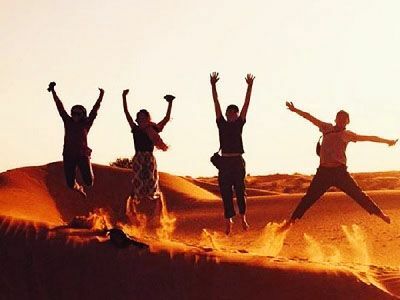 Whichever safari tour you choose in Jaisalmer, the starting and finish point will be either any particular desert camp or the main parking area of Sam. Our team is always available at the parking site. 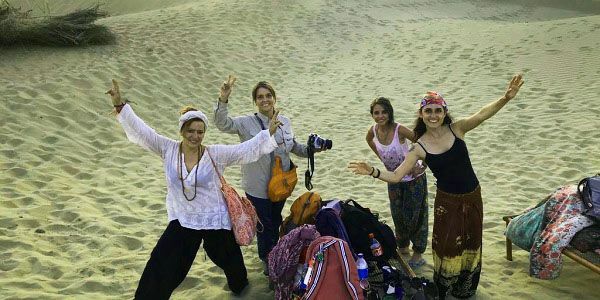 In this tour, you will enjoy a camel safari tour at Sam or Khuri sand dunes (your preference), and along with a musical dance program at a desert camp & complimentary dinner. Belley dance program at our desert camp. 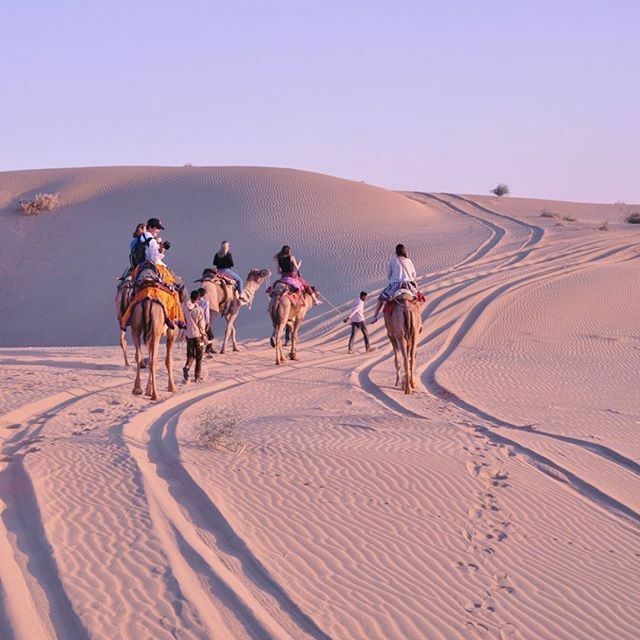 In this tour, you will enjoy a camel safari tour along with a visit to the desert villages of Jaisalmer. Here a special homemade or cooked dinner will be served to you, away from the crowded campsites. Tour of a village in Sam or Khuri. 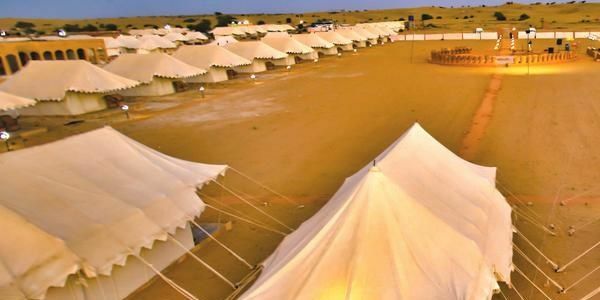 In our tour 3, you will enjoy the camel safari tour, along with a confirmed reservation in a star rated desert camp in Sam sand dune with complimentary dinner. Pick up at 4 pm from Jaisalmer city, & drop by 10 am next day. Jaisalmer gypsy dance & musical program from 7 pm to 9 pm. Our suggested camps are Rajputana Desert Camp & Dangri Desert Safari Camp. 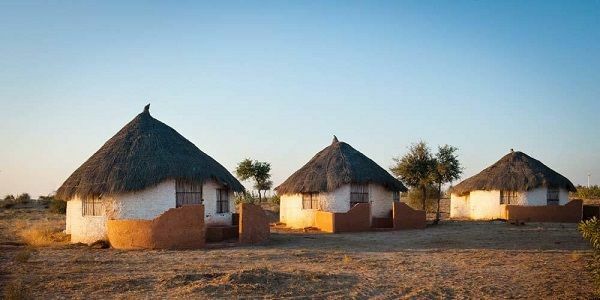 Our tour 4 is for safari lovers, who aren’t interested in staying nights at star rated camps/ hotels and want to experience the true village life of Jaisalmer desert villages. Same as the previous tour. Pick up & drop from Jaisalmer city in an AC Cab. Tour of desert villages of Sam or Khuri, at Desert National Park. Homemade dinner at the village. Night stay in the open in the village. Morning breakfast at the village, & leave for the city by 10 am. Contact our team at +91 9414796344 for more details on this tour. 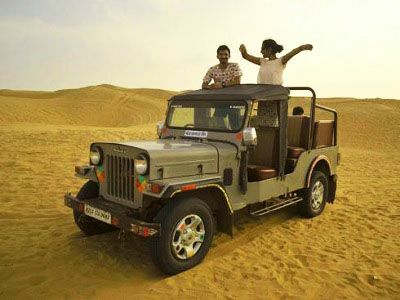 Jeep Safari tour is a 90-minute ride of sand dunes of Jaisalmer in a Mahindra 4×4 jeep. Rs 2000 for the whole jeep with a capacity of 5 people. Night safari in Jaisalmer is a 2-year-old activity which has become very popular among couples or travellers seeking adventure in the dunes. Here the tour starts after 7:30 pm for 90 minutes and you see the sand dunes just with the light of the jeep. For the fare of this tour, contact us at +91 9414796344 or fill the contact form below. Call me (Mr. Singh) at 9414796344 or click the button fill the Contact Form, to know more about our Jaisalmer Desert Safari tour. And also have a look at our 2018 Jaisalmer Tourism details, along with our suggested tour packages for Jaisalmer, & taxi car rental in Jaisalmer.